Our two-week workshops enable ceramic artists to focus and immerse: furthering their knowledge of a specific aspect of clay, while rejuvenating their creativity amid the energy of fellow artists and the inspiration of a cultural setting renowned for its exquisite artwork and culture. Workshops vary widely in theme, instructor, firing style and focus, and our roster changes every year. Typically workshop programs will comprise ten days of studio activity, 1-2 days of relevant excursions into the cultural wealth and natural beauty of Bali, and the opportunity to independently explore the nightlife (traditional and otherwise) of the artistic enclave of Ubud. All lunches are catered family-style in the studio. TUITION: USD $2200 inclusive of all studio materials, glazes and firings, catered lunches, welcome dinner, and excursions around the island. Inquire about our Early Bird discount, Student Scholarships, and Last-Minute rates. We will assist in making recommendations and bookings for nearby hotels, bungalows or home-stays in convenient proximity to Gaya studio (accommodation is not included in tuition). Gaya CAC proudly hosts some of the finest international ceramic artists worldwide as the instructors for our annual series of workshops. 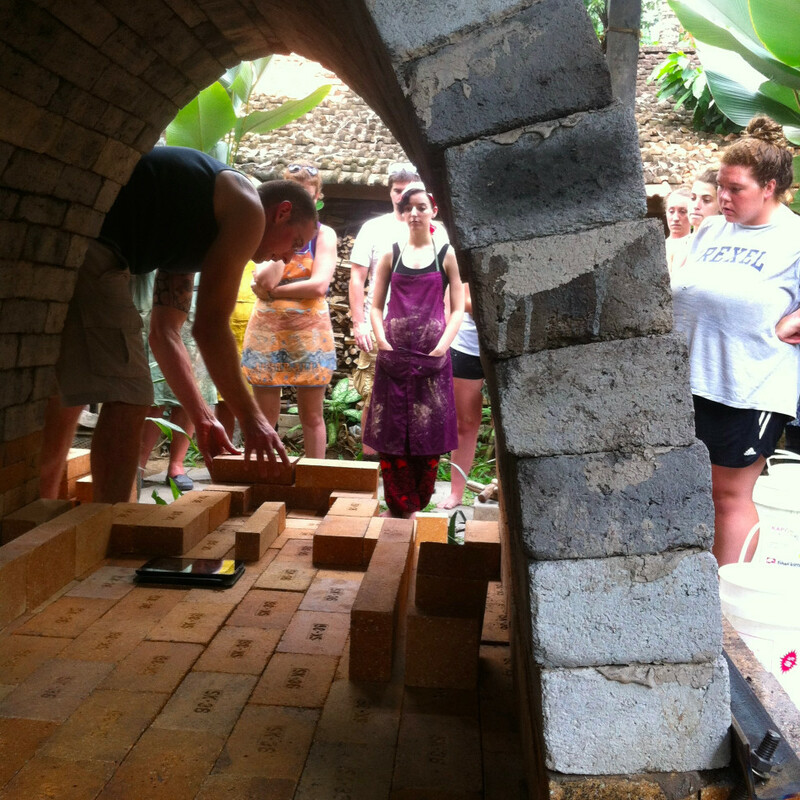 With access to wood, soda, raku, and gas firing, we can accommodate nearly any ceramic instructor's interests in workshop concept, and we are ever seeking new instructors who would be passionate about sharing their vision and inspiration at our studio here in Bali. Contact us directly if you would like to propose a workshop! HILLARY KANE: Director of Gaya Ceramic Arts Center, Hillary (HK Studio), both hand-builder and thrower, focuses on wood or soda-firing her own ceramic sculptures and wares, while facilitating and assisting instruction of all variety of workshops at GCAC. MARCELLO MASSONI: C.E.O. of Gaya Ceramic and Design, Marcello specializes in throwing on a grand scale, decorative installation, architectural sculpture, western Raku firing, and production design. MICHELA FOPPIANI: Creative Director of Gaya Ceramic and Design, Michela is an exquisite hand-builder, focusing her attention on abstract figurative sculpture, intricate and varied surface decoration, and production design. In order to tap into the network of potters and clay enthusiasts worldwide, we are always on the lookout for individuals with keen interest, good organizational abilities, and a thriving connection to potential workshop participants. A GL takes on the responsibility of finding 7-10 workshop registrants, collecting tuition fees from each person, and communicating directly with Gaya CAC throughout the lead-up time to the actual workshop of choice. In exchange, the Group Leader receives free tuition (including studio materials, lunches, excursions, and accommodation), as well as a per participant monetary incentive. Please contact us directly if you feel qualified and motivated to take on the role as a Gaya CAC GL!